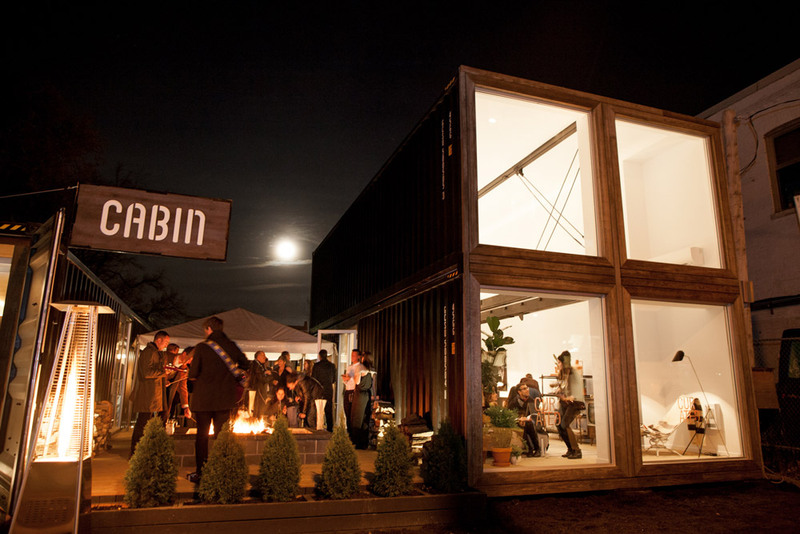 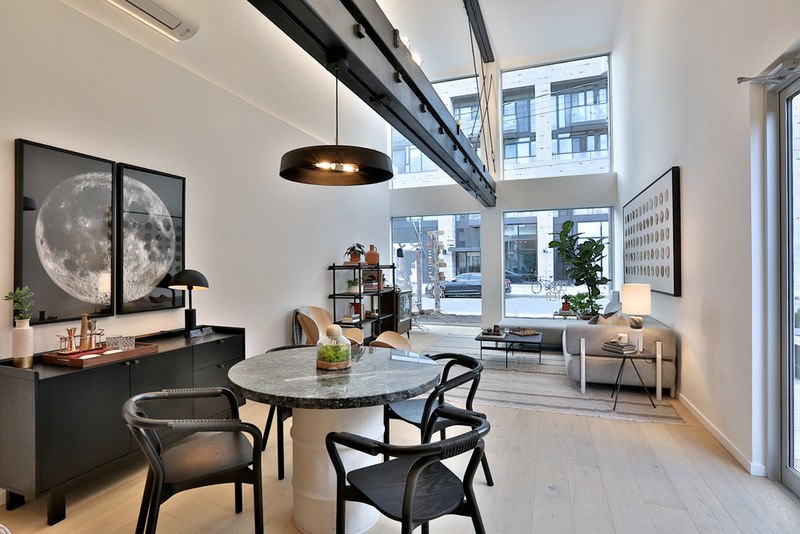 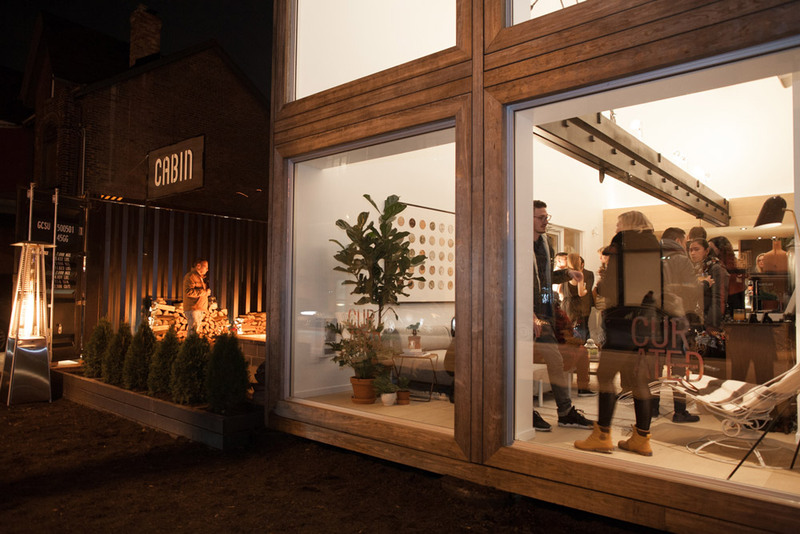 The Cabin showroom is a precursor to Cabin (the development designed by RAW as a bridge between three scales typical to the Queen West area: the ten-storey structures, three-storey semis and single family homes). 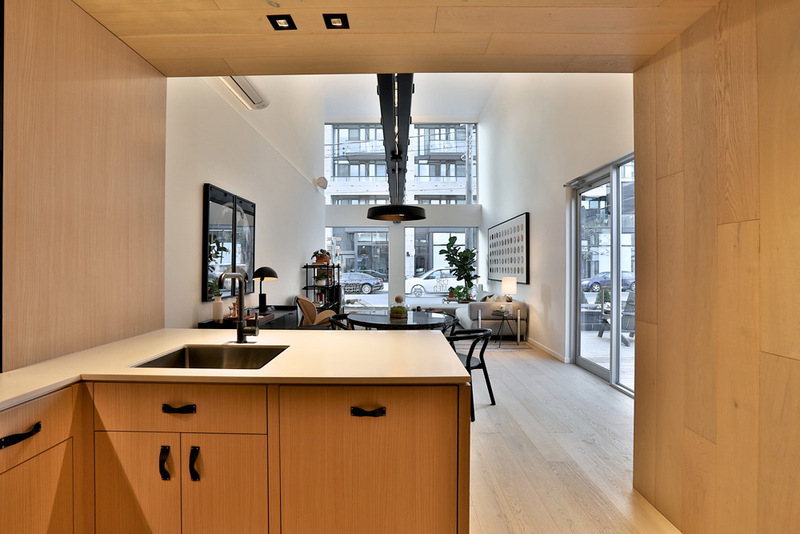 It takes on the aesthetic of a wintery northern lodge with wood, stone and modern stylings meant to radiate coziness. 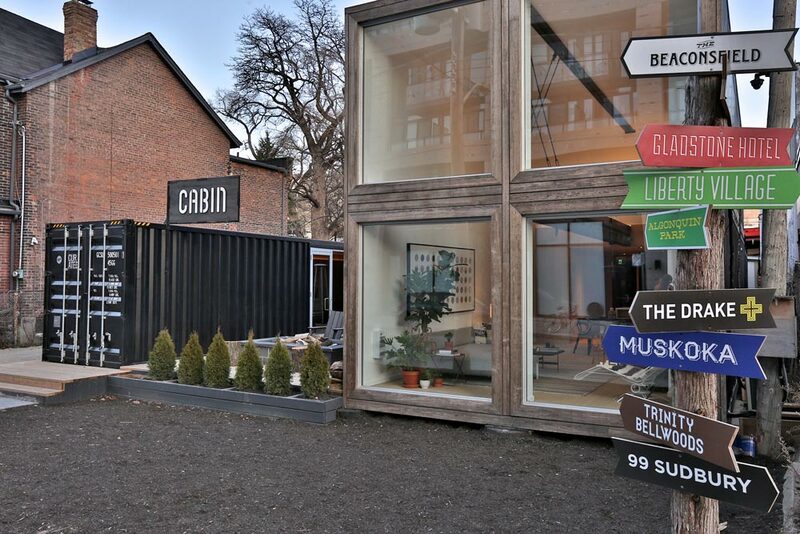 Constructed of 7 8’x40’ ISO shipping containers, these containers were later relocated to a rural environment for re-use as a private residence.